Should you be interested in commissioning Earl to write a new piece of music, specifically for your band, contact him through this site. Rates are negotiable. 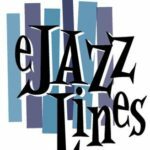 Visit Earl’s eJazzLines online catalog where you can listen to audio samples, read descriptions of each piece, and purchase big band and 10tet charts.